UPDATE (11:50am, Nov. 30): Due to stormy weather and power outages, the postponed viewing was not able to go ahead on November 29. We will post details about our next public viewing shortly. UPDATE (9:30am, Nov. 22): With clouds and blowing snow forecast for tonight, we won’t be able to look at the sky. We’re going to postpone again until next Thursday, November 29, from 7:00-8:00PM. UPDATE (9:30am, Nov. 15): Due to forecast for cloudy weather this evening, we will postpone our public viewing until next Thursday, November 22, from 7:00-8:00PM. 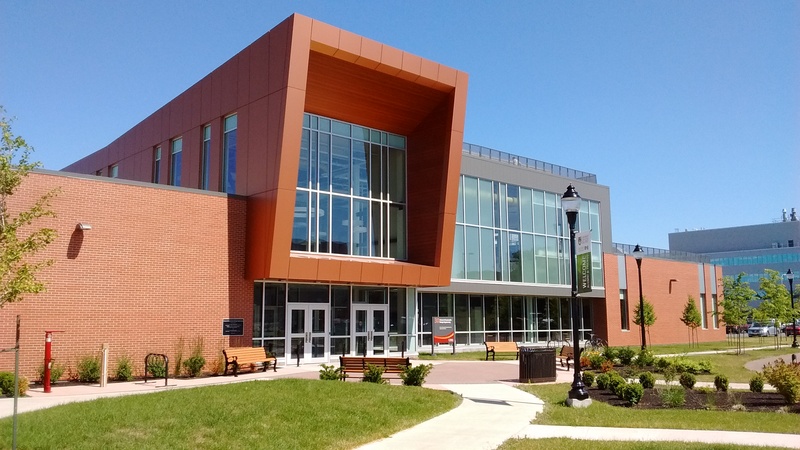 Our observatory is on the rooftop of UPEI’s Memorial Hall, but we ask that you come first to room 417 to wait for your turn to go up to the telescope (find information on finding Memorial Hall and where to park on campus here). Volunteers from local astronomy groups and UPEI Physics will be available to answer any astronomy questions for you while you wait. It is necessary to climb a flight of stairs to reach the telescope, but the elevator can be taken up to the 4th floor waiting room. Since sunsets are so late in the evening from May through August, we are switching our public telescope viewing sessions over from nighttime to daytime. We’ll set up one or two of our solar telescopes and view the features of Sun (safely!) in the hydrogen alpha wavelength or in white light. The viewings are weather-dependent – if the sky is completely clouded over so that we can’t see the Sun, we’ll have to cancel the viewing or postpone it. This post will be edited with updates on the viewings as needed. Solar viewings will be held outside the SSDE building. All viewings will be held outside the SSDE building entrance (building #30 on the campus map). The viewing will be at ground level, so it will be accessible to anyone with mobility issues. Parking is available in lots adjacent to the building (shown in the map below) and there is no charge for parking in these lots during the summer semester. The solar viewings will be outside the entrance of the SSDE building (indicated by orange star on the map). Parking is available in UPEI Lots D & E and the MacLauchlan Arena lot. UPDATE (9:15am April 20): Due to the forecast of cloudy weather for Saturday evening, we will have to cancel the public viewing. With twilight coming very late as we approach the June solstice, we will likely not schedule any nighttime public viewings until late summer when it will be once again getting dark earlier in the evening. 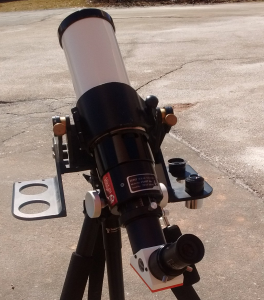 We will have some daytime public viewings with our solar telescope and will post about those soon. Our next public viewing is scheduled for Saturday, April 21, from 8:30-10:00 PM. 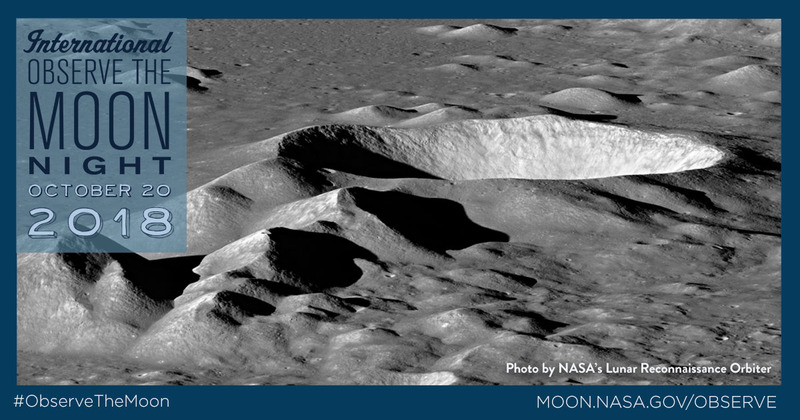 For the first half-hour, we will view the Moon and when it gets darker around 9:00 PM we will switch to some other objects in the sky. Our observatory is on the rooftop of UPEI’s Memorial Hall, but we ask that you come first to room 417 to wait for your turn to go up to the telescope. Volunteers from local astronomy groups and UPEI Physics will be available to answer any astronomy questions for you while you wait. In the evening hours, campus parking lots are free, with parking lots B and C being the nearest lots to Memorial Hall. If the weather is cloudy and we cannot view the sky, this post will be updated in the event of cancellation or postponement. UPDATE (4:40 PM, March 23): The forecast for Saturday is cloudy with a chance of flurries all day and night, so that’s not good telescope weather. Our viewing scheduled for March 24 is cancelled. We’ll try to schedule a viewing for April soon (after university examination period) and will post details once they’re available. UPDATE (10:25 AM, March 3): Due to the forecast for clouds and chance of flurries this evening, our viewing is postponed to March 24, 8:00-10:00 PM. Our next public viewing is scheduled for Saturday, March 3 from 7:00-9:00 PM. Our back-up date (in the event of cloudy weather) is Saturday, March 24 from 8:00-10:00 PM.